Crunchy edges and not too sweet. 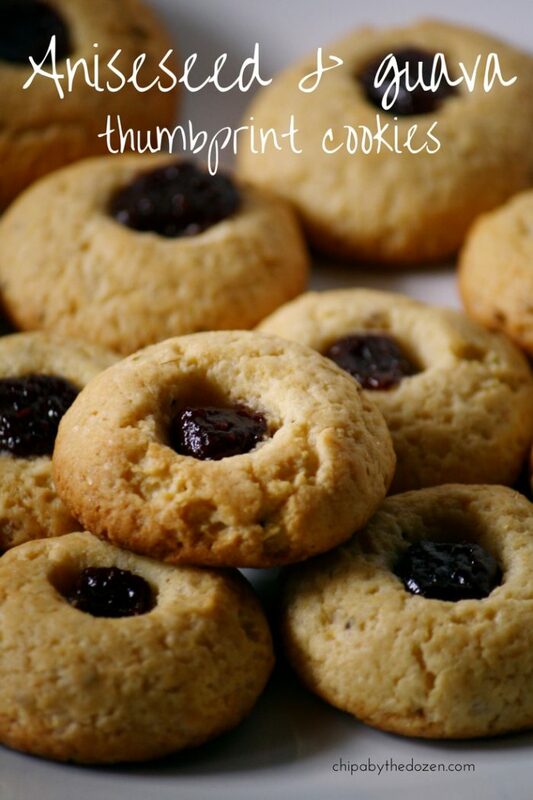 These anise seed & guava thumbprint cookies are perfect for any celebration! and you get a taste of Paraguay. 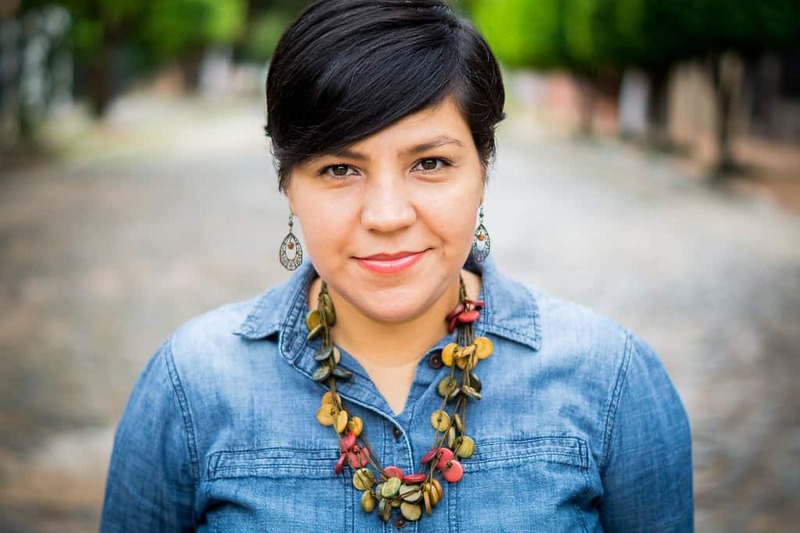 I´ve been really enjoying our food advent calendar organized by Jenny at Jenny is baking. Taking us to different countries and trying new delicious recipes. The theme for this food advent calendar was “spice it up”. We all chose a spice to feature in different days with unique recipes. 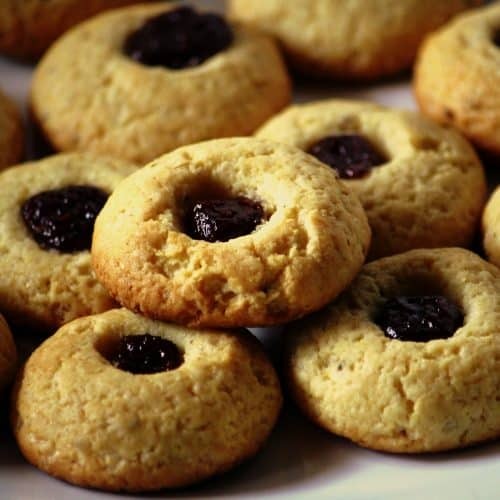 In Paraguay we don´t have many traditional foods that are made only at Christmas time and cookies are not something people bake often (although more and more people are baking them). 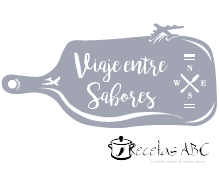 So I created this recipe especially for this event, and I chose anise seed, even though I don´t use it very often, I thought it would be great to bake some cookies with a spice very much used in Paraguay. Paraguay has a delicious bread called chipa. And these cookies are inspired by some of the ingredients used to make it. As you can guess, anise seed is a key ingredient to chipa, and so are cheese and cornmeal. To finish up these cookies, I added some guava jam; sold in almost every store all year around here in Paraguay. I hope you give this recipe a try, and the aroma and flavor of these cookies take you directly to our beautiful Paraguay. 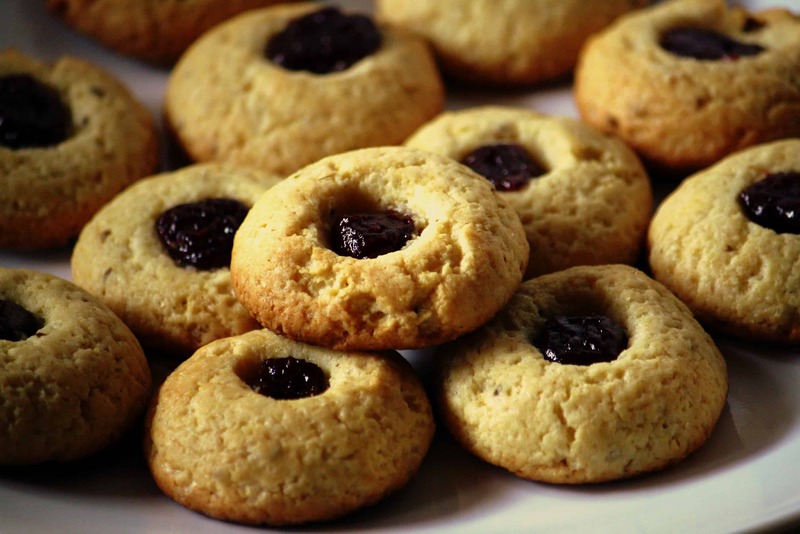 Crunchy edges and filled with guava jam, these cookies are perfect with a cup of tea. In a large bowl, cream butter, cream cheese, sugar, egg yolk, orange juice and extract with an electric mixer. Add the two kinds of flour, anise seed, salt, and baking powder. Mix with a wooden ladle until everything is mixed. Keep the dough in the refrigerator for 2 hours or overnight. Heat the oven to 190 ° C / 375 ° F and grease a baking sheet. 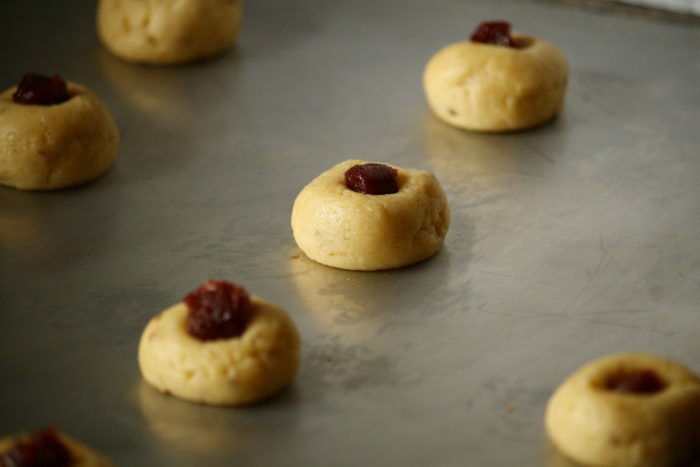 With the help of a spoon, shape dough into 1 inch / 4 cm balls and arrange on baking sheet, leaving about 3 inches between cookies. Flour the end of a wooden ladle and make a well in the center of each cookie. 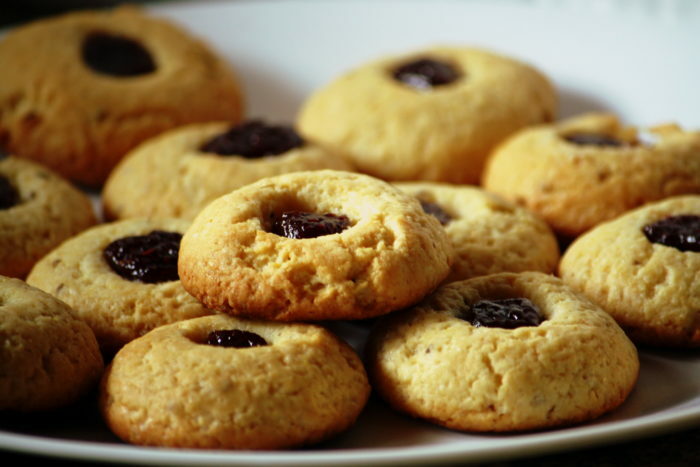 Fill the cookies with guava jam. Bake for 15 minutes, or until the edges start to brown. Cool cookies on baking sheet for 2 minutes before transferring to a wire rack to cool completely. These look delicious! I will be trying these soon, maybe will have to replace the guava jam with another one. Let me know how you like them, Kaveri. Maybe with strawberry jam? Try it with any jam. I think guava jam will be more Paraguayan, but I know it´s hard to find outside South America. Lizet, they look awesome! Thank you so much for bringing them to the food advent calendar! I have never made them with anise seed, sounds great! Thanks Rachel for coming by. I hope you try them!